Mr. Leonard Elphinstone Brunel Homan, a fellow director of Sir Abe Bailey in many South African mining companies, died on Wednesday at The Canons, Mitcham. Formerly a keen racing man, Mr. Homan was for many years judge of the Johannesburg Turf Club and raced in the Rand on an expensive scale. 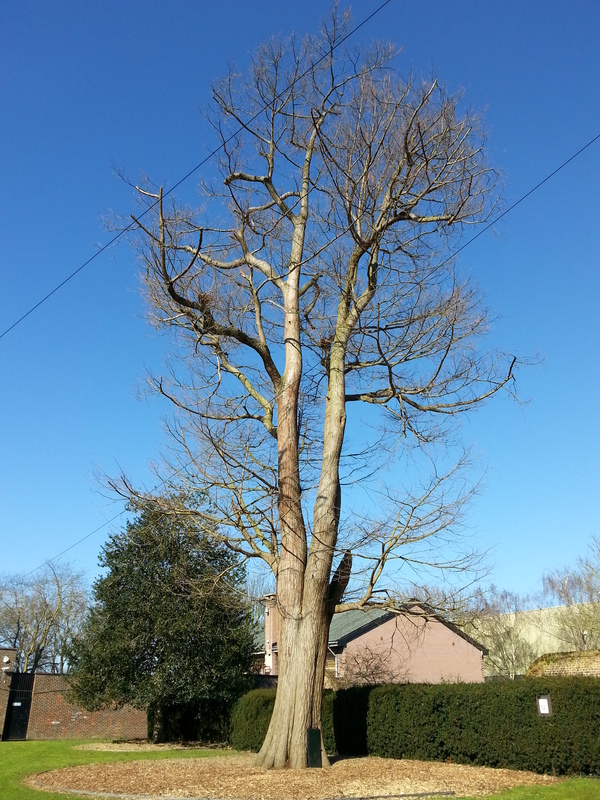 He was a close friend of the late Sir Harry Mallaby Deeley, and a near neighbour. He had taken little interest in Mitcham affairs, but at one time was associated with the old Mitcham Wanderers Athletic Club, of which he was president for a period. He was a fine figure of a man, standing over six feet. The funeral takes place to-day (Friday) at the Mitcham New Cemetery. This entry was posted in Clubs, People and tagged 1938, Homan, Mallaby-Deeley, Mitcham Wanderers Athletic Club, The Canons on August 22, 2018 by Mitcham Historian. TO BE PRESENTED AT THE COURT TO-NIGHT, MAY 23 MISS BETTY HOMAN. Miss Betty Homan is the younger daughter of Mr. and Mrs. Leonard Homan, of The Canons, Mitcham, and is a beautiful blonde. She is being presented at the Court to-night, May 23, by her godmother, Mrs. Lester Reid, the wife of Lieut. -Col. Lester Reid. 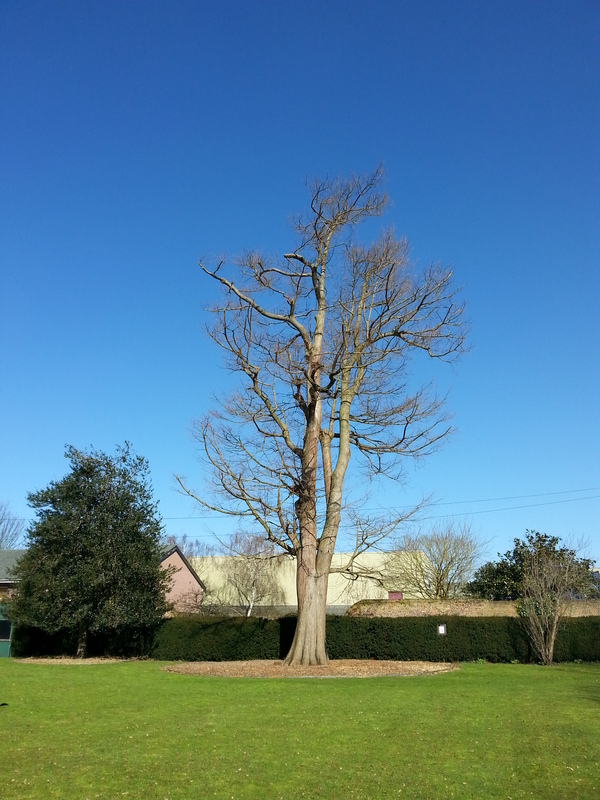 of Thorpe Mandeville Manor, Banbury. This entry was posted in People and tagged 1928, Homan, The Canons on January 15, 2017 by Mitcham Historian. 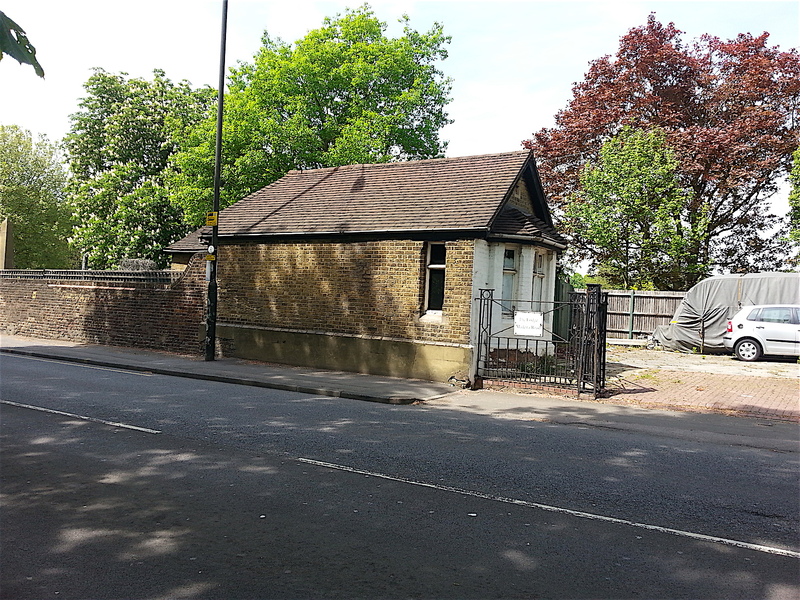 This is a small single storey detached Lodge, which dates from around 1870. The Lodge forms part of the original wall which surround the grounds of the Canons House, and it marks the point where the original entrance to the grounds once stood. 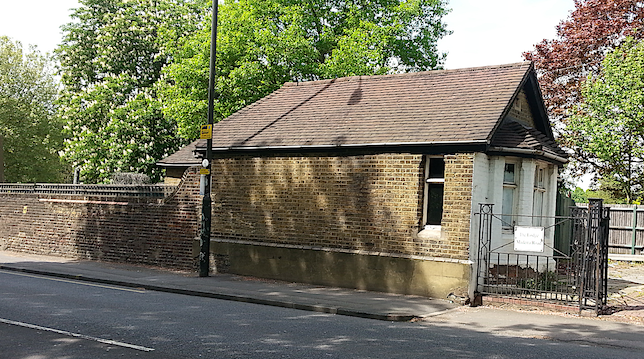 The Lodge faces towards the original entrance drive, (with a projecting bay window) while it displays an almost blank wall to the main road. The building materials use include stock brick, (in part painted over), and roof tiles. The design of the building does not relate to that of any others in the vicinity. The main features of interest relate to the orientation of the building, and to its function as a Lodge for the Canons. No subsequent changes are evident. 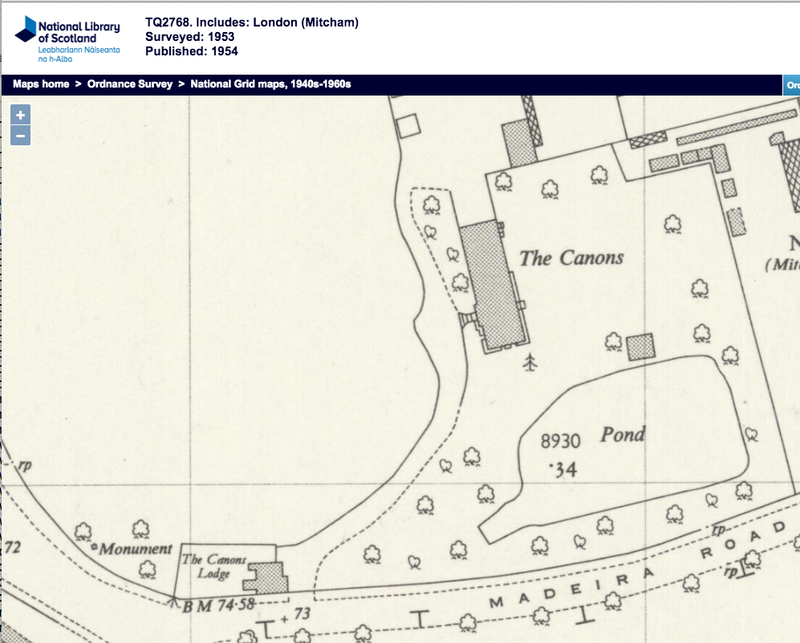 This 1953 OS map shows the building was at the entrance road to the Canons. In 1890, owner occupier was George Pickles. Source: Ancestry.com. Surrey, England, Electoral Registers, 1832-1945 North East Surrey, Wimbledon, page 437. This entry was posted in Buildings, Cricket Green Conservation Area and tagged 1890, The Canons on May 17, 2016 by Mitcham Historian. 5. The Canons: Use of Grounds. The Town Clerk submitted an application from the Mitcham May Festival Society for the free use of the grounds of The Canons on Saturday, 26th April, 1958, for the purpose of holding a rehearsal of the crowning of the May Queen ceremony. Resolved, That the free use of the grounds be granted. Merton Memories has a photo of the crowning of the May Queen in 1958. Minutes of meetings held by the Mitcham Borough Council are available on request from the Merton Heritage and Local Studies Centre at Morden Library. This entry was posted in Borough, Buildings and tagged 1958, May Queen, The Canons on May 2, 2016 by Mitcham Historian. 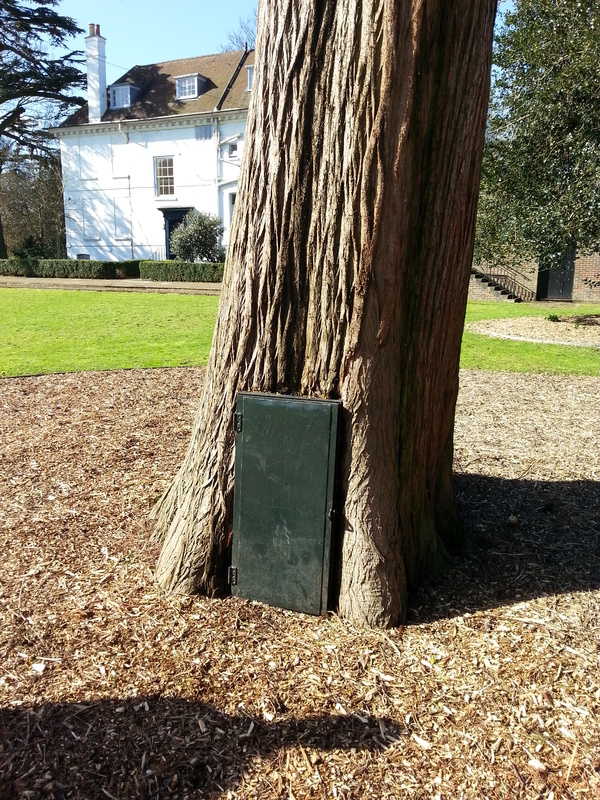 This entry was posted in Trees and tagged The Canons on April 7, 2016 by Mitcham Historian. 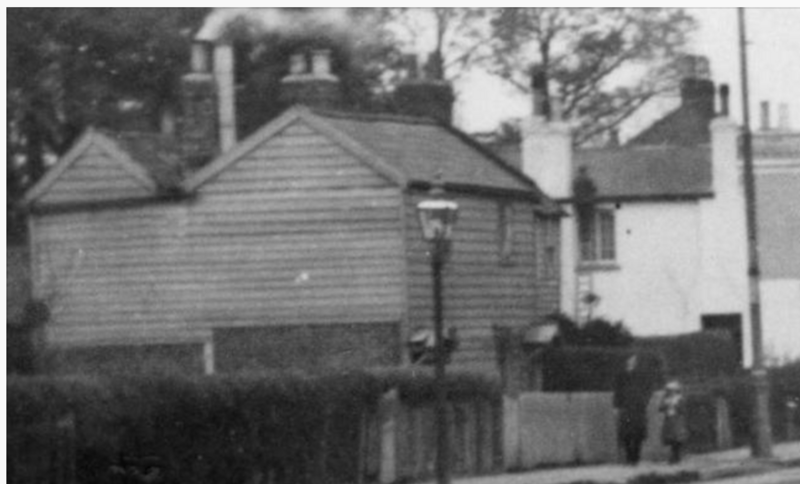 A pair of cottages that were demolished in 1967. Clip from Merton Memories photo 50712 Copyright: London Borough of Merton. (12) Former News of the World Sports Ground – No.s 51/52 Commonside West – The Chief Education Officer referred to Minute 2642(3)/3/67 and reported that the cost of demolishing two cottages formerly known as 51/52 Commonside West (situate within the curtilage of the the former “News of the World” Sports Ground) and the brick at the rear of the properties would amount to £75, exclusive of levelling and fencing the site. Resolved – That No.s 51/52, Commonside West be demolished as soon as possible and the sites thereof levelled and fenced as necessary. 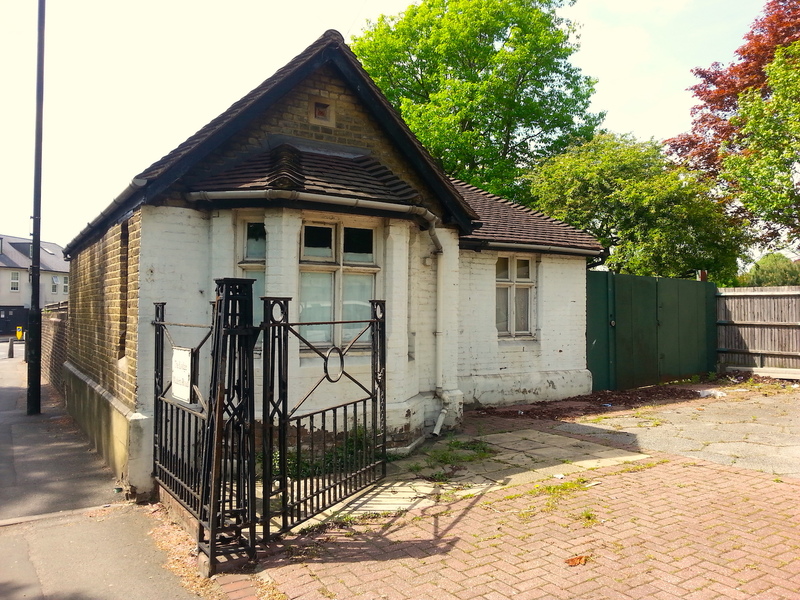 The hut for the 2157 (Mitcham) Squadron of the Air Training Corps was built on this site in 1969/70. Minutes of meetings held by the London Borough of Merton are available on request from the Merton Heritage and Local Studies Centre at Morden Library. This entry was posted in Buildings and tagged Commonside West, The Canons on April 6, 2016 by Mitcham Historian. The Town Clerk submitted a letter from the St. Barnabas Cricket Club (Mitcham) making application for the use on various Saturdays throughout the cricket season of the basement dressing accommodation at The Canons. Resolved, That the application be granted subject to the payment of the usual charge. The Town Clerk submitted a letter from the Mitcham Group of the International Friendship League applying for the use of the grounds of The Canons for the purpose of holding a garden party on a Sunday. Resolved, That the application be not granted. The Town Clerk submitted a letter from the Highland Social Club applying for a room at The Canons on two evenings per week for use as a club room. It having been pointed out that the club was composed principally of non-residents of the Borough, it was Resolved, That the application be not granted. The Town Clerk submitted a letter from the Social Section of the Lower Mitcham Branch of the Mitcham Division Conservative and Unionist Association applying for the use of a room at weekends for the purpose of holding whist drives for their members. The committee having been reminded that the council have decided that The Canons should be let only to organisations having athletic, social or educational objects, it was Resolved, That the application be not granted. The Town Clerk submitted an application from The Royal Pioneer Corps Association, Surrey Branch, for the use of the grounds of The Canons for the purpose of holding a garden party. The Committee were of the opinion that the use of The Canons grounds for such purposes should, for various reasons, be restricted to Mitcham organisations, and Resolved, That the application be not granted. – The Chairman reported that Mr. F. H. Priest, president of the Mitcham Athletic Club, and Mr. D. Brickwood, assistant secretary of the club, had been invited to attend this meeting in order that the Committee could have the benefit of their advice on the holding of an athletic meeting during the coming summer. The Committee having heard their views upon the proposal, Resolved to recommend, That the Council sponsor an athletic meeting to be organised by the Mitcham Athletic Club, and that further details to be considered at the next meeting of the Committee. (a) That approval be given to the Vidarians Walking Club using jointly with the Mitcham Athletic Club the dressing room accommodation at “The Canons” allocated to the latter club. (b) That authority be given to the Borough Engineer to arrange for the provision of a hot water service to the bathroom, in accordance with estimate of £23 10s. now submitted, the gas to be consumed to be paid by the clubs. The Town Clerk reported that the Fire Guards of F Area had arranged a social event at The Canons on Saturday, July 18, which had to be cancelled owing to bad weather, and that they were desirous of having another date for this purpose. Resolved, That permission given for the holding of the postponed event on Saturday, August 1. This entry was posted in Borough, Buildings and tagged The Canons on March 7, 2016 by Mitcham Historian.